Suitable for all ages from 4 years and up. Adventure component totals just less than 2 hours. Change of clothing & Towel. Something warm to wear just in case. 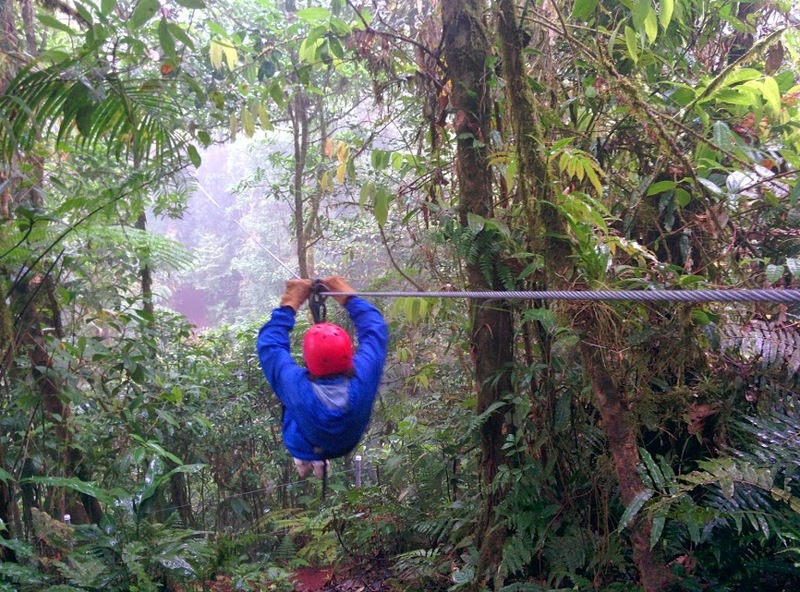 Interested in booking the Cloudforest Zipline? After about 90 minutes you arrive at your zipline location. 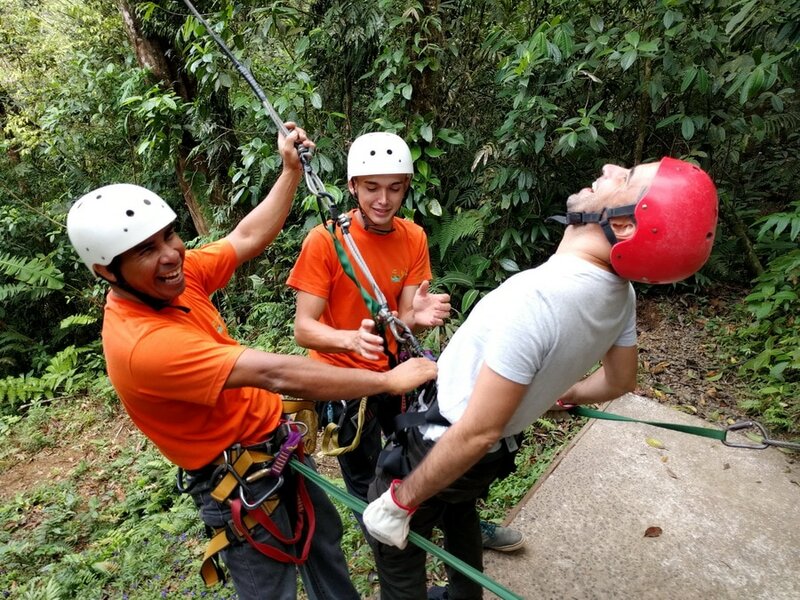 Set into the placid cloud forests of Costa Rica's Central Valley region, the cloud forest zipline tour will take you on an exhilarating and safe adventure through lush, green canopy and across the majestic Rio Cataratitas. 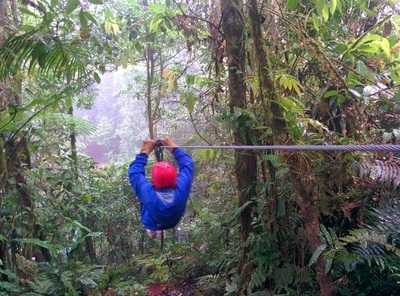 Carried securely by a system of modern ziplines, you will soar weightlessly through the expanse of virgin forest that grounds the tour, and find yourself in intimacy with the habitats of Costa Rica's distinct cloud forest wildlife. Enjoying safely through a series of cable systems that move through a big extension of a virgin forest, it motivates us throughout the tour to enjoy about the flora and fauna of this majestic environment. We have cables between 50 to 550 meters long at the points with more adrenaline. In these tours you can enjoy various views of the Cataraticas River. Our platforms are located on bases with heights from 3 to 106 meters high, some of them in trees and on land bases depending of the attraction and adventure points. The Tarzan Swing is a highlight for many. But it's an optional and free extra to the tour. Many say it is the most exhilarating part. 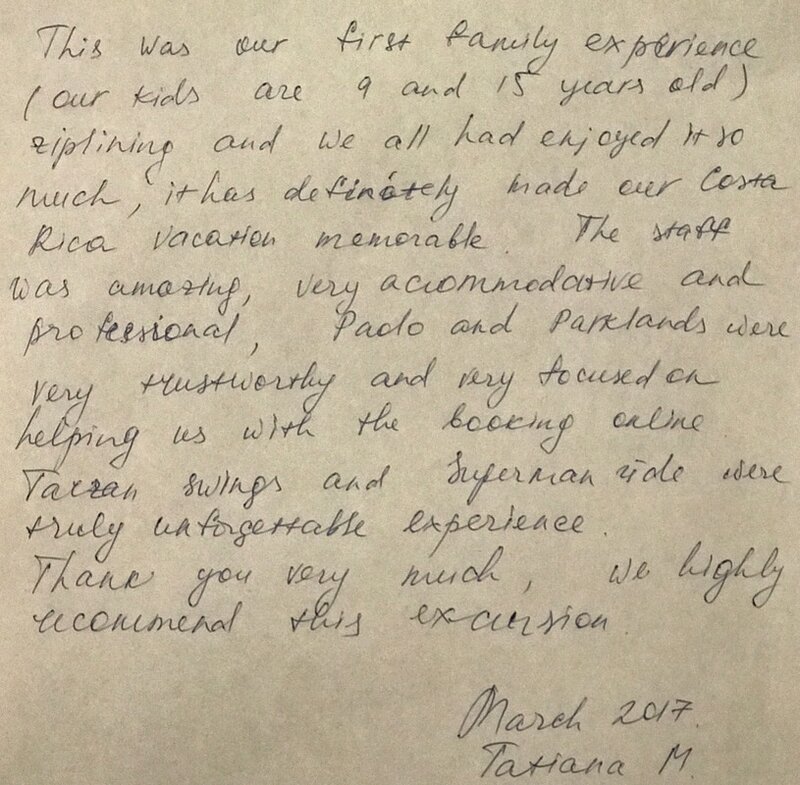 Amid the exotic green cloud forest jungle, the Tarzan Swing can not be left aside, this is a perfect complement (free & optional) to the main zipline tour. Cloudforest Zipline with Tarzan & Superman. Do it!! 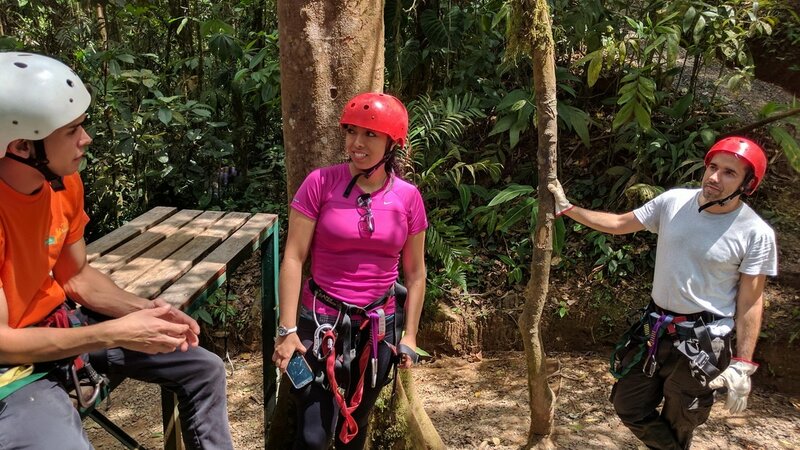 At no extra cost, you can enjoy flying superman style over the majestic cloud forest, where adrenaline almost peaks in a combination of height and speed that will make this flight an unforgettable experience and great finale to your zipline adventure before lunch. This flight carries you more than 100 meters above the majestic Cataraticas River at up to 70 Km an hour. If the clouds roll in during the day, then you might find yourself doing it in the mist. Whichever way you do it, it's fun! Though customer fun is the goal for this zipline combo tour, your safety is foremost important. All personnel and facilities carry up-to-date certification from the Costa Rica Institute of Tourism. 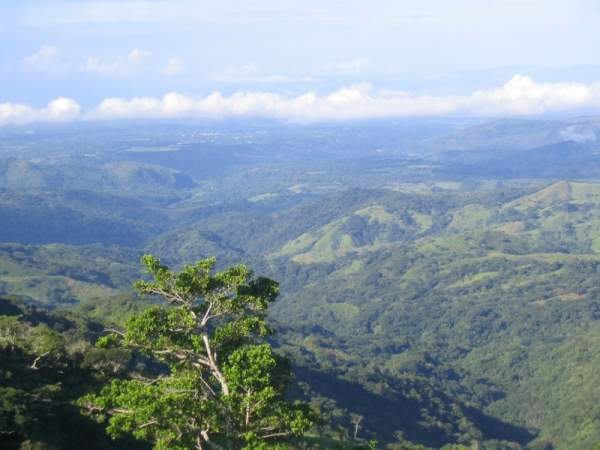 You can be confident that you can be guaranteed a professional, informative and very enjoyable Costa Rican experience. 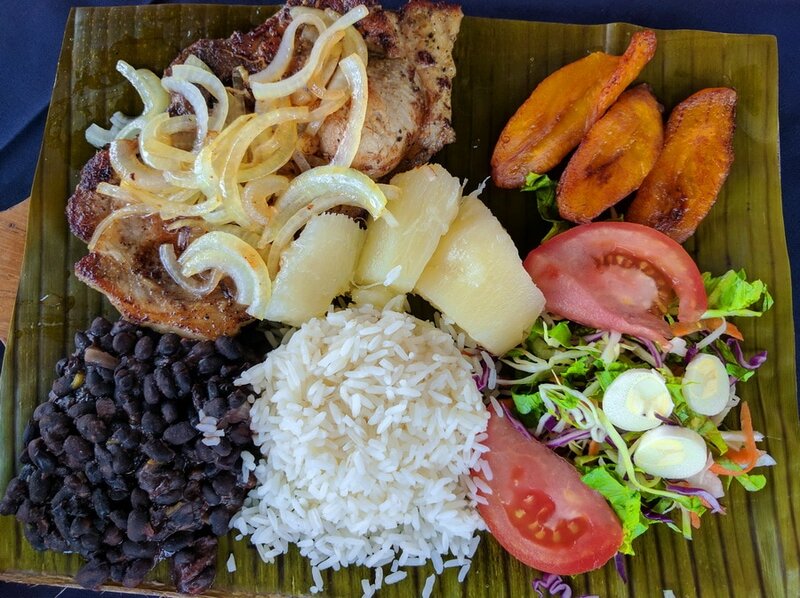 A delicious and very strategic place to enjoy typical Costa Rican meal, after the zipline combo you will be able to freshen up and then enjoy a wonderful Costa Rican lunch, coffee and juice before you have to finally head home to the Central Valley and the warmth and comfort of your Parklands' vacation condo or hotel.